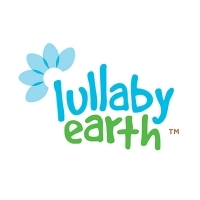 The Lullaby Earth baby crib mattress was designed by parents, grandparents and engineers. It's the result of years of research - with health, safety and affordability as its top priorities. The totally pure design packs in all the key features of a crib mattress while weighing a mere 6.9 lbs! Lifting the mattress and changing the sheets is a breeze. Composed primarily of food-grade polyethylene with a truly waterproof design, the mattress is easy to clean while seamless edges do not allow bacteria build-up caused by sitting moisture. The firm surface and edge support provide a comfortable and safe sleep environment for your baby or toddler. Unlike competing products in its price range, the Lullaby Earth baby crib mattress is completely free of polyurethane foam (including soybean foam blends), vinyl/PVC, PFC and antibacterial treated fabrics, as well as questionable fire retardants and known allergens. Best of all, it's the first recyclable crib mattress design ever developed!